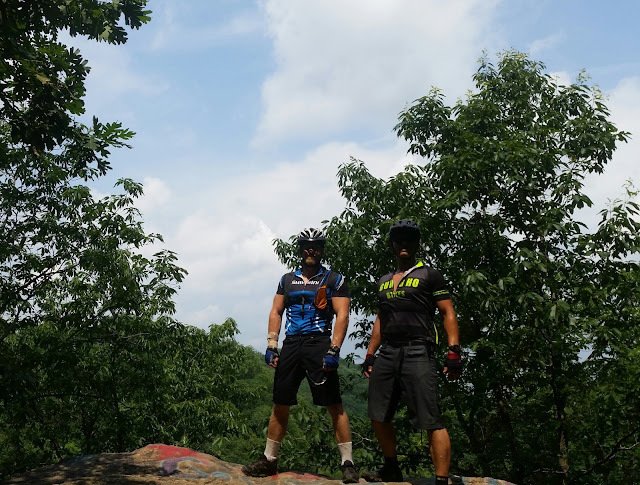 During the summers of 2011 and 2012, Tim Singlinger and I spent an awful lot of time in Patapsco Valley State Park near Baltimore, Maryland. So much time that I have the trail system blazed into my memory. 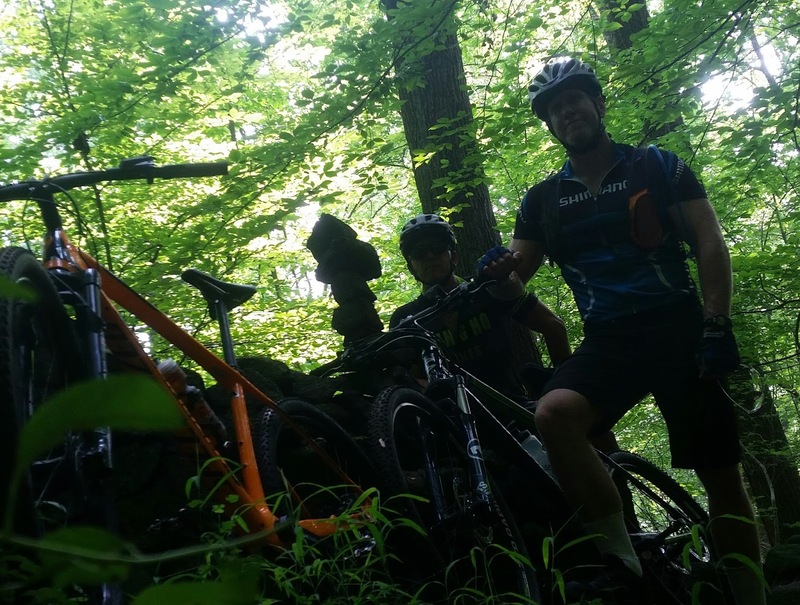 Then, in 2013, my attention turned back to Michaux State Forest...probably because of it's proximity, it's beauty, and the realization that there was so much at Michaux that needed to be explored and need to be ridden. 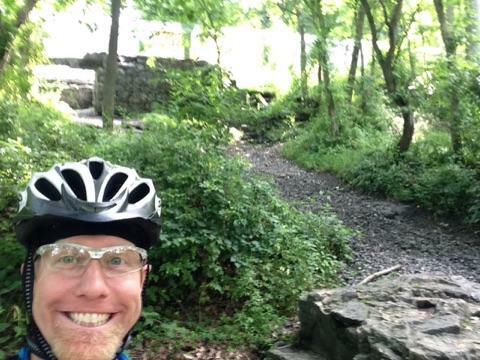 Since those particular summers, I, on average, return to Patapsco to mountain bike maybe twice a year. 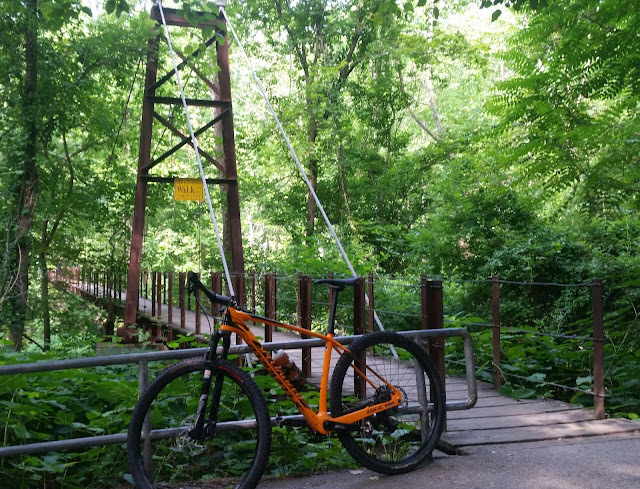 The park, created in 1907 as the Patapsco State Forest Reserve, is designed to protect the valley's forest and water resources. In the 1930s it was incorporated into the Civilian Conservation Corps. The CCC workers created recreational facilities and planted vegetation to prevent erosion into the river. During World War II it was converted into the nation's very first Civilian Public Service conscientious objector camp which required the men and women there to serve for a term of one year. Today, the 25 square mile park allows for canoeing, hiking, horse back riding, picnicking, fishing, and....mountain biking. Which is what Matt Linnane and I set out to do today. I knew we weren't going to ride ALL of the park...but for his first trip to Patapsco I wanted to maximize our fun. By the time we finished, Matt and I pounded out more than twelve miles of fun single track riding sections of the park on both sides of the river. 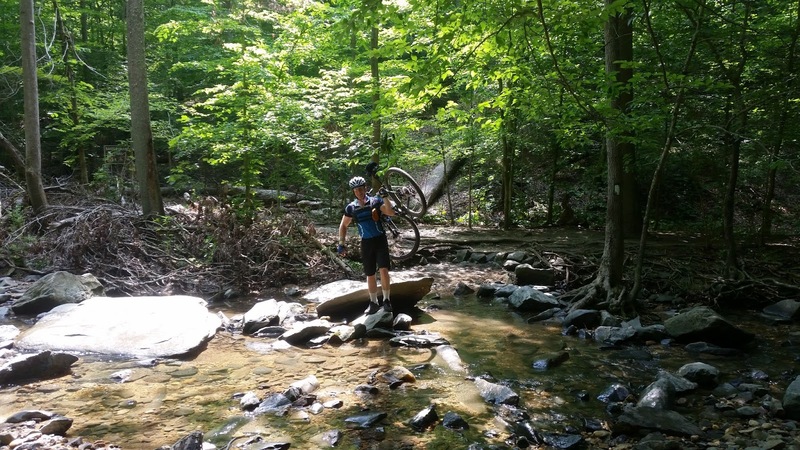 It was a nice reminder of why Tim & I spent so much time pedaling Patapsco a few years back.